Alianza members engage in a number of projects throughout the year to address the issues, priorities and concerns of farmworker women. 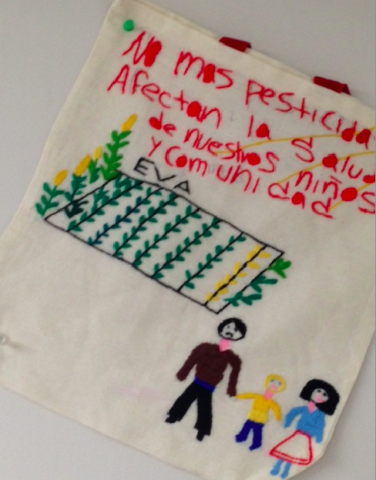 Among these, farmworker women have engaged in community education, art activism, and other awareness activities to advocate with and for campesinas across the U.S.
Alianza Nacional de Campesinas launched the Satchel (Moralitos) Campaign to create public awareness about the health risks of pesticides exposure for farmworker women and their families. The project, which was originally spearheaded by Alianza founding member Organizacion de California de Lideres Campesinas was created in 2012. Alianza members plan community events to inform women about how to protect themselves from pesticides exposure, share information about what people should do if they have been exposed and they provide information about existing Environmental Protection Agency's policies related to pesticides use in agricultural fields. Events are organized and held throughout January and February. Alianza members utilize teatros (plays) to engage in their public education efforts. These plays are aimed at raising awareness related to a host of different issues. Theater helps to illustrate the problem, but also serves as a more engaging and less intimidating manner to raise important issues, like sexual harassment and other workplace violations. The Bandana Project is a public awareness campaign aimed at addressing the issue of workplace sexual violence against migrant farmworker women in the United States. White bandanas are decorated and displayed as a symbol of the sexual exploitation of farmworker women because farmworker women have said that they use their clothes, including bandanas, to protect them from sexual harassment and assault in the workplace. Mónica Ramírez, a Latina activist and Alianza founding Board member, created this campaign in 2007 while she was the project director of Esperanza: The Immigrant Women's Legal Initiative of the Southern Poverty Law Center. The Dolores Huerta Foundation administered the project from 2010 through 2013. The Project is administered by Justice for Women, which is founded by Ramírez in 2014. Alianza and its member organizations have participated in the Bandana Project over the years. For more information about the Bandana Project email information@justice4women.org. Campesinas Rising is led by Alianza Nacional de Campesinas, the first national farmworker women organization that fights for campesinas' human rights. Campesinas Rising will raise awareness about and work towards eliminating violence faced by campesina women and girls, in the United States and globally.The idea of Campesinas Rising first emerged from Alianza Nacional de Campesinas and Eve Ensler’s collaboration to eradicate violence against campesinas and girls, as part of the global “One Billion Rising” Global Movement, the largest mass action to end violence against all women and girls. 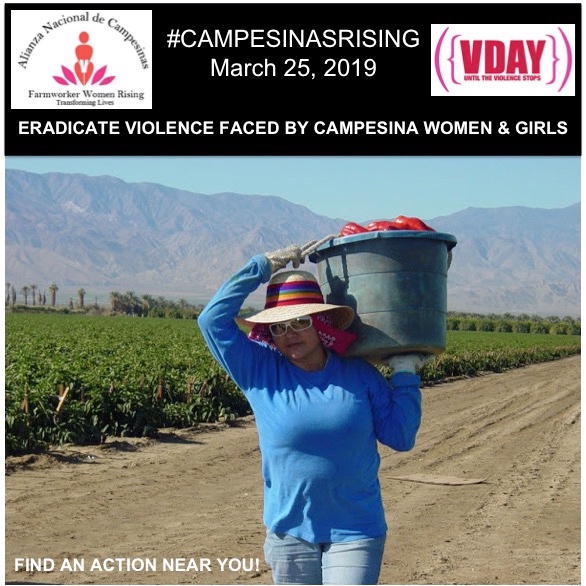 Campesinas Rising will raise awareness about and work towards eliminating violence faced by campesina women and girls, in the United States and globally. 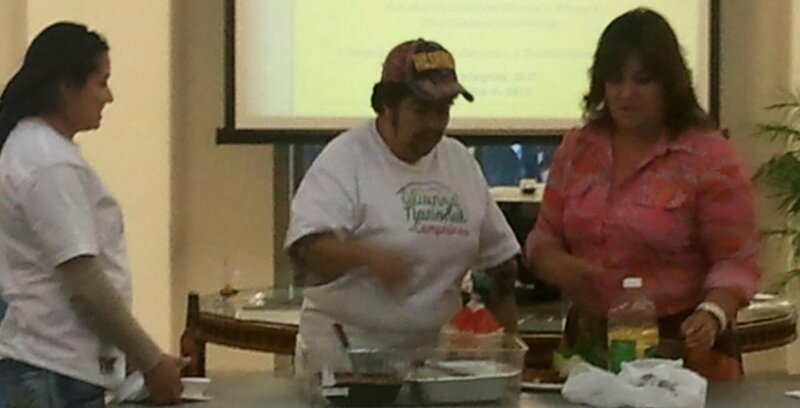 Campesinas Rising takes place on the first day of Farmworker Awareness Week 2019, and during Women’s History Month. Throughout the day, advocacy events and actions will be carried out by farmworker women-serving and member organizations throughout the world. From social media storms (#CampesinasRising) to advocating for protections for women and girls, gender-justice and farmworkers’ rights organizations will unite with a common goal to advance a safer working space for farmworker women and girls. Join our fight to end gender-based violence against women and girls by creating and leading an action in your area! Contact our team to get your event started, and don’t forget to join the online conversation via the #CampesinasRising hashtag!